Alright, first new concept I've done in some time. First of the revisits that I had planned for this series. With the Sabres revealing their Winter Classic look today. I decided to make a set around it, making some minor changes that keep it in line with the team's history. Trim is added to the shoulder on the road. Primary dark jersey features striping from the alternate from a few seasons ago. 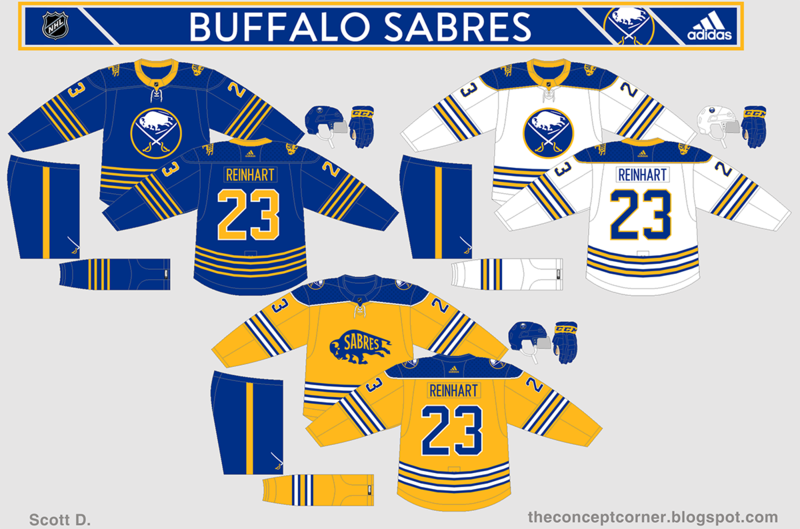 Added a yellow version of white jersey featuring the stand alone buffalo. Everything about that Buffalo set is perfect too me. Wonderful job. Did some reworking of the original concept. Made the home and road match by adding some white stripes. Demoted the previous home design to alternate. 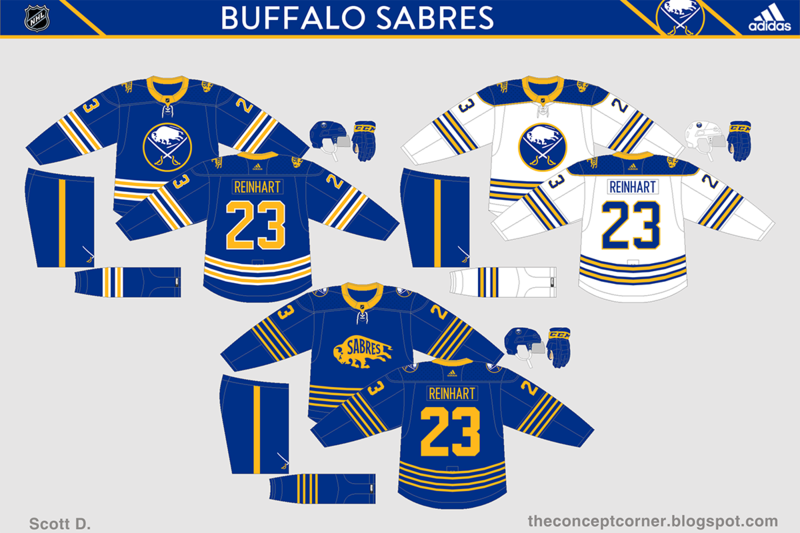 I prefer your previous Sabres concept but both sets blow their current look out of the water. With the unveiling of the Winter Classic looks for this season. Decided to turn my attention to next seasons. For the Blackhawks the design is based off the barber pole design of the late 30s. Bruins is a mix of elements from the 30s and 40s.